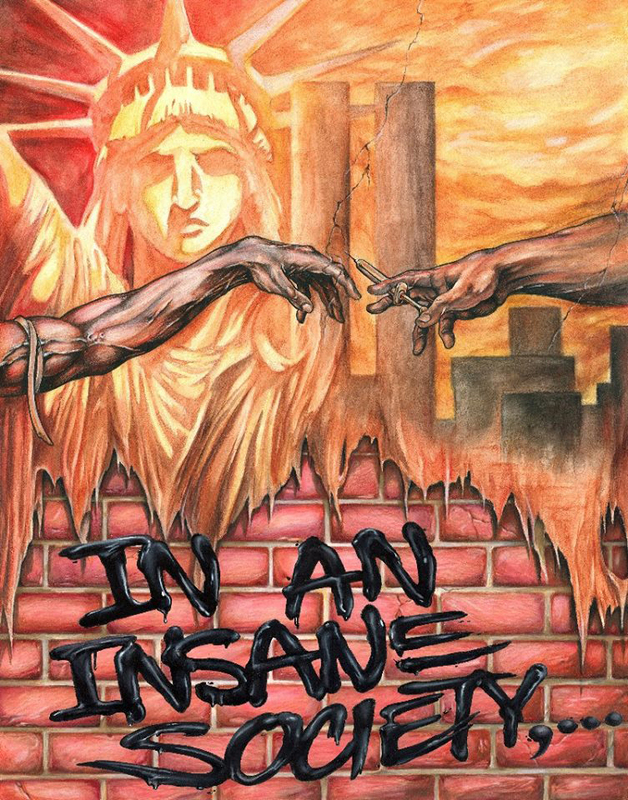 In An Insane Society,… is an action packed story about the competition of attitudes, politics, and ways of getting things done in what has been called a “fictitious war” against drugs. The attitudes of protagonist Jerry Jurichik and his life-long friend Bryan Muller collide initially through light banter, which develops into serious philosophic turmoil. Muller is a proponent of the system’ while Jurichik is a rebel proud of being on the outside. One is destined to convince the other that his thinking is right. Jurichik is a self-styled vigilante convinced that drugs are bringing this country to its knees. He conducts his own private war effectively until he is painted as an outcast. He has taken on the powers that be and has scored heavily. His success, ironically, makes him the enemy, for he has dared to embarrass the bureaucracy. The novel takes its audience to the dark side of reality. It is a high powered, explosive story that will give people the vicarious pleasure they all need to make it through one more day. It is the story of a man committed to ending the insanity of today’s unanswered crime problem. He acts simply because it’s the right thing to do and does what ought to be done. As Alexander Hamilton said, “Society’s first duty is justice.” More and more we hear the masses scream for that justice. In New York City, where the story takes place, the cries are deafening. The crumbling from within’ is well underway. As a result, a soft disbelief has burgeoned into rampant cynicism. The bellies of the average Americans have begun to fume with a seething, sickening rage. The story reflects the mood of an angry and tired nation. The theme is simply one of knuckles bleeding from having banged on the wrong door. Jerry Jurichik not only leads the way to the right door, it is he who kicks it in. In An Insane Society,… is the vibrant saga of one man, initially alone, who turned an undercurrent of hisses and whispers into a fight back demand for results. You can purchase, download and begin reading In An Insane Society right now. This is a work of fiction. Names, characters, places, and incidents either are the product of the author's imagination or are used fictitiously, and any resemblance to actual persons, living or dead, business establishments, events, or locales is entirely coincidental. Copyright © 2016 In An Insane Society. All Rights Reserved. Artwork by William Webb. Website by M Schetter Design. Spoken word courtesy of Julian Velard.